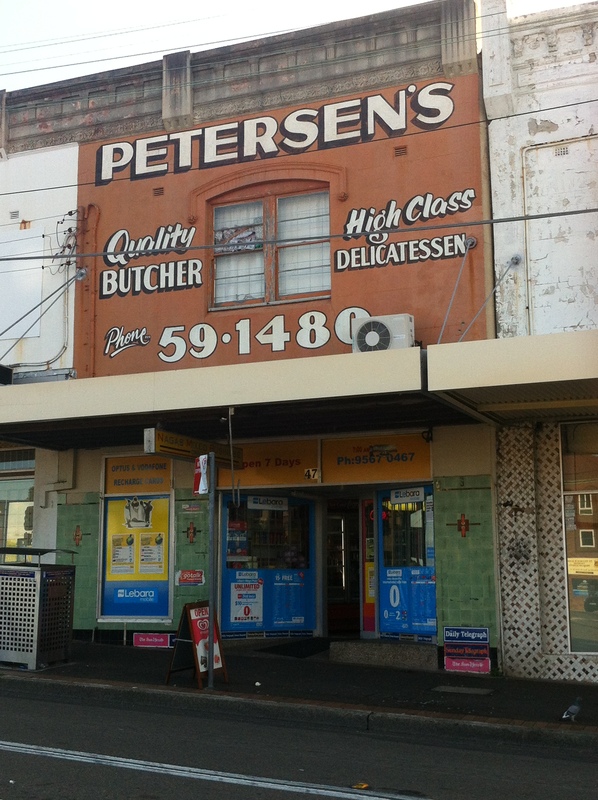 That Petersen’s signage is in awesome condition. Someone must be faithfully repainting it every so often. Why? And how long ago were 6 digit phone numbers? We had a 6 digit phone number where I grew up in Hurstville. It commenced with 57. Sometime after I left home in the late 80s they introduced 7 digit numbers to the Hurstville exchange and Mum’s 57 number became 580. With the advent of 8 digit numbers is naturally became 9580. All along, the number has maintained its last 4 digits. It would be interesting to know if there’s some kind of record for an individual or business retaining the same phone number. My late father bought the house in about 1952 so those last four digits would be at least 60 years old. There were also other 6 digit exchanges around us as well. There were 50 numbers is Kingsgrove and 53 numbers at Peakhurst. I think they were all phased out around the same time. In Sydney city there was a 5 digit exchange for many years. I’m pretty sure the Herald’s phone number was 2-xxxx. Peakhurst was 6 digits right up till 8 digits came in, with a 91 added to the 53. Loved to go here after school to play Street Fighter 2 until Old Man Petersen would yell at us to be quiet!